Meet Priscilla | What Next? ← Should We Visit Hong Kong? Drawing of Priscilla by British artist Harold Copping created for a book called Women of the Bible published in 1927. 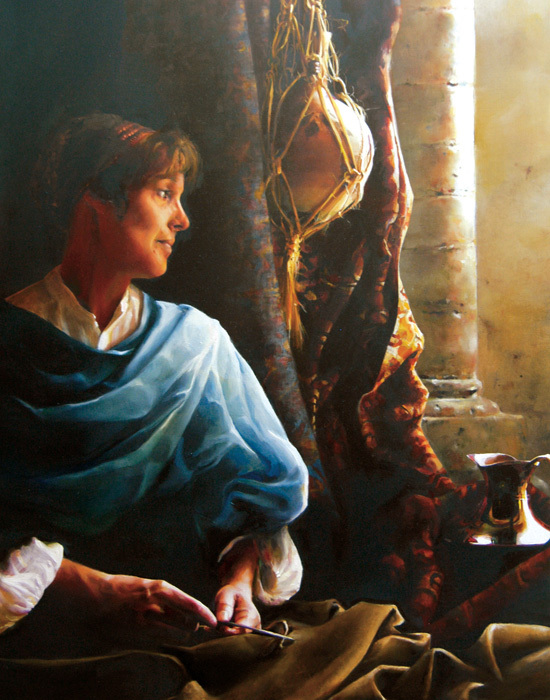 One of the woman I talked about at a retreat last weekend was Priscilla whose story is told in the New Testament primarily in the book of Acts but also in 1 Corinthians, Romans and 2 Timothy. 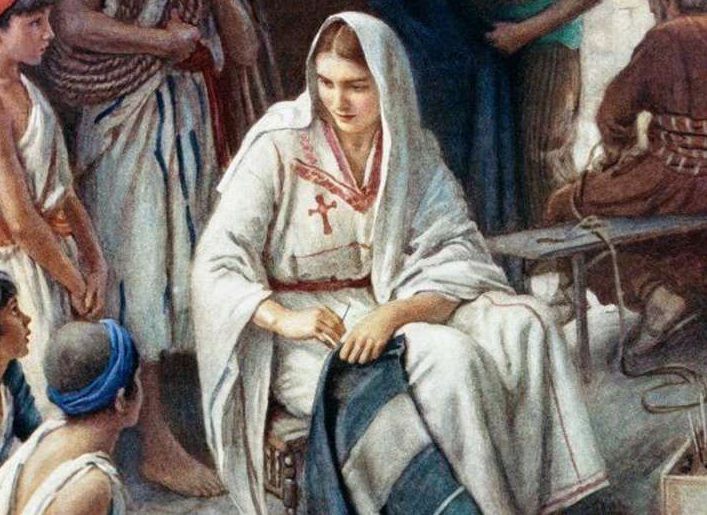 Priscilla was educated, independent, brave and opinionated and some scholars make the case for her having written the book of Hebrews in the New Testament. A variety of artworks I found illuminate her life. 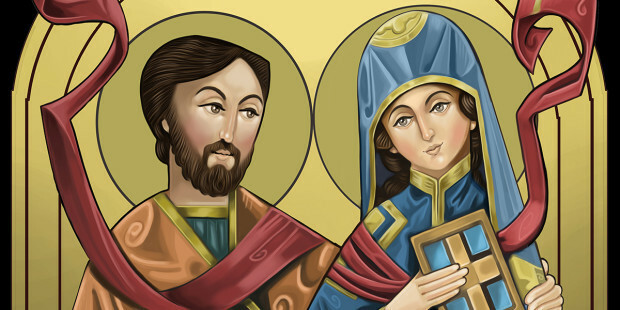 Greek Orthodox Church icon of Priscilla and Aquila. Priscilla was married to a man named Aquila and they had an unusual marriage of equality for their time. They lived initially in Rome. Priscilla doing leatherwork in a painting by artist Elspeth Young. Priscilla and Aquila settled in Corinth after being forced to leave Rome and they were leatherworkers and did tailoring of all kinds. Priscilla was a skilled craftswoman. Print by J. Sadeler a Flemish artist in the 1600s. Was Priscilla also a mother? 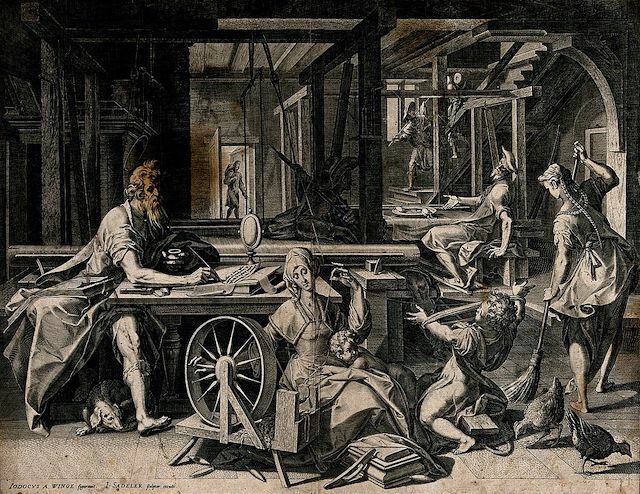 The Bible doesn’t give us any indication of that but many artists in their depictions of Priscilla and Aquila show them at work in their shop with several children underfoot. 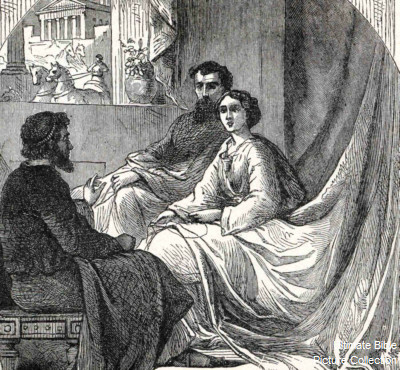 In Corinth Priscilla and Aquila met Paul who was a learned Jewish scholar and because Paul was also a leather worker they got to know one another and Priscilla and Aquila invited Paul to share their home with them. Later Paul also lived with them in Ephesus and the church in that city met in Priscilla’s hospitable home. 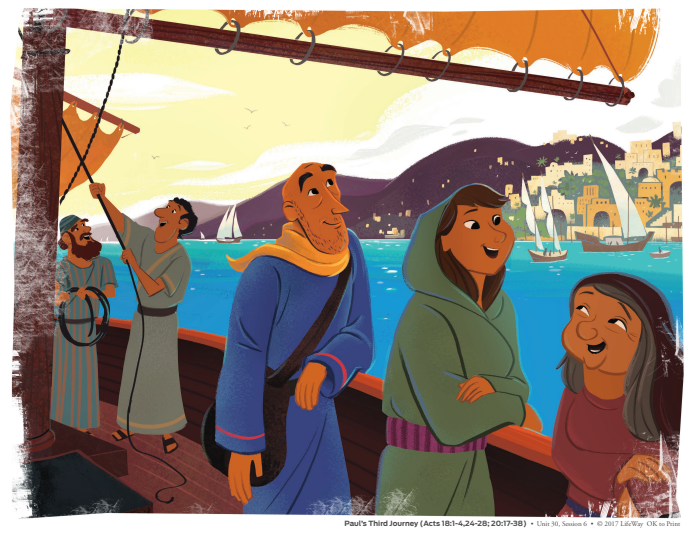 This 2017 cartoon illustration of a traveling Priscilla and Aquila is from The Gospel Project for Kids a curriculum developed by the Spring Creek Fellowship Church in Big Springs Texas. Priscilla and Aquila were travelers. 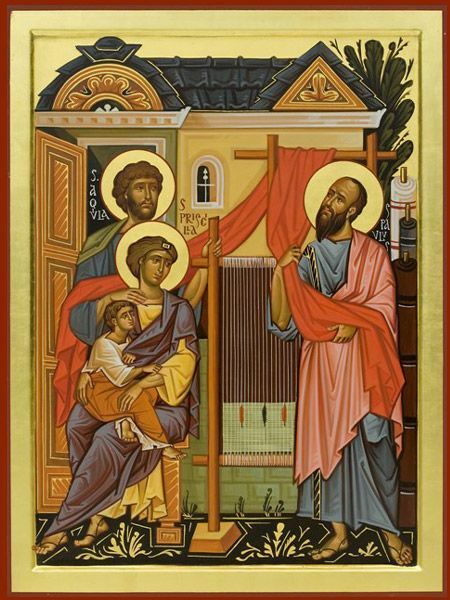 The Bible doesn’t tell us whether they had converted to Christianity before they met Paul or if they did so because of their relationship with him but they accompany him on many of his journeys. It took courage and daring to be a traveler in the time Priscilla lived- it was not for the faint of heart. 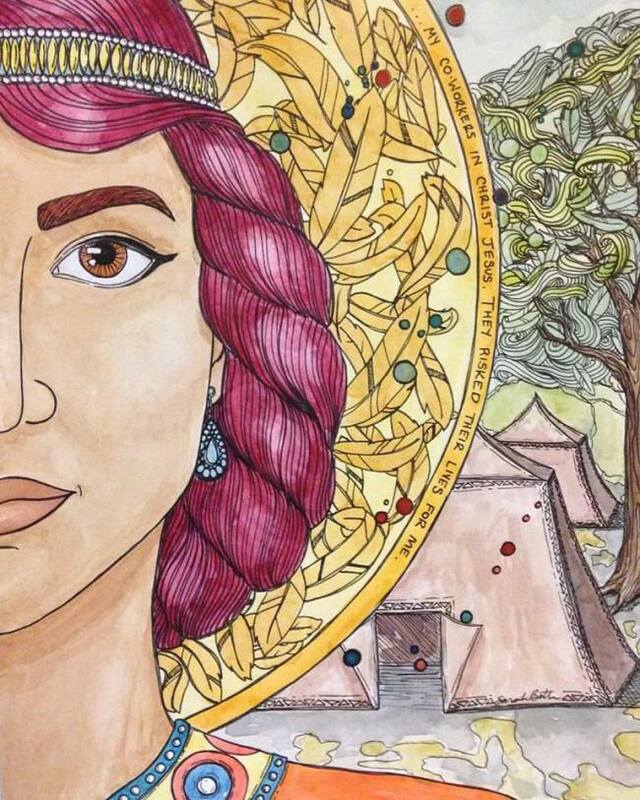 Pen and ink drawing of Priscilla by Houston artist Sarah Beth Baca who references Priscilla saving Paul’s life in the lettering around the edge of the dream catcher behind Priscilla’s face. Priscilla was obviously a great friend to Paul – he even had a nickname for her Prisca and in Acts 19 he thanks her for saving his life. 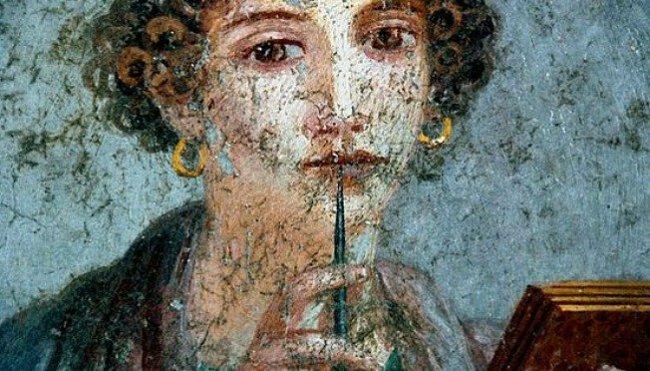 This image of a woman writer from an ancient Roman fresco makes me think of Priscilla the writer. But the role that many think Priscilla had which I find most fascinating is that of writer. There are numerous scholars who argue Priscilla was the actual author of the book of Hebrews. They contend that her close relationship with Paul made her uniquely qualified to write Hebrews and because of the anti- female bias of some Judeo- Christian groups she wrote the epistle anonymously. 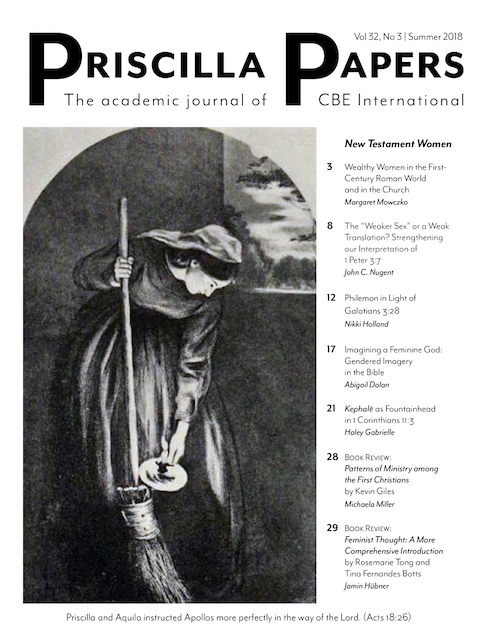 I was also intrigued to find an academic journal called The Priscilla Papers that has been published four times a year since 1987 and contains the work of theologians and Biblical scholars who wish to advance the idea of true equality for women in the evangelical Christian church. 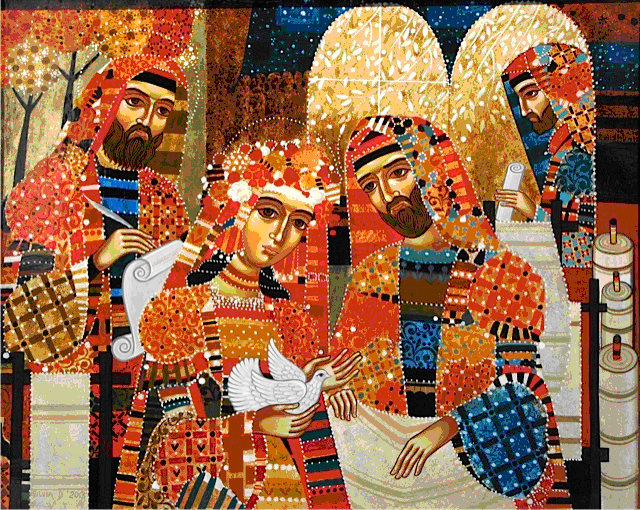 Priscilla is portrayed with Paul and Apollos and her husband Aquila in a colourful and intricate 2013 painting by Silvia Dimitrova a Bulgarian icon artist living in England. Priscilla left her mark on history with her colourful and multi-faceted life during which she had roles as a student, daughter, wife, friend, possibly mother, traveler, hostess, craftswoman, church leader and writer. Preparing to speak about her at the retreat and finding artwork about her was a learning experience I enjoyed very much.